The holidays really give me a hankering for pie. 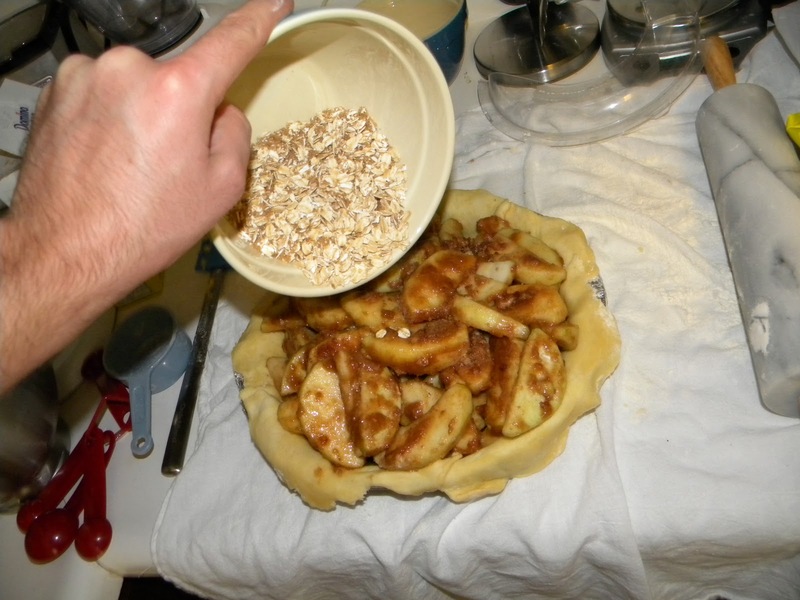 I made some apple pies awhile back after going apple picking, and I took a couple photos. 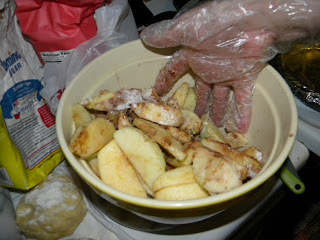 Although there is no more pie to share, I can share some of the photos and my apple pie recipe. Just click through the jump for some apple pie goodness. The first thing you need is a recipe! Here is a text recipe that can be printed, and I'll be repeating its material here, along with some photos and elaboration. This recipe comes from my mom. The crust and topping are general and can be used for many types of pies. You can customize these ingredients many different ways. 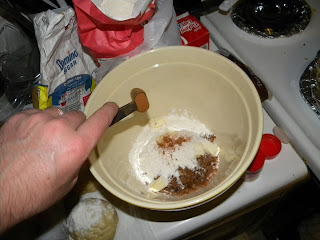 Changing the spice mix for the pie filling is a great way to vary pies. You can also substitute the flour in the pie crust, a good combination is 1 cup each of white, wheat, and oat flour. 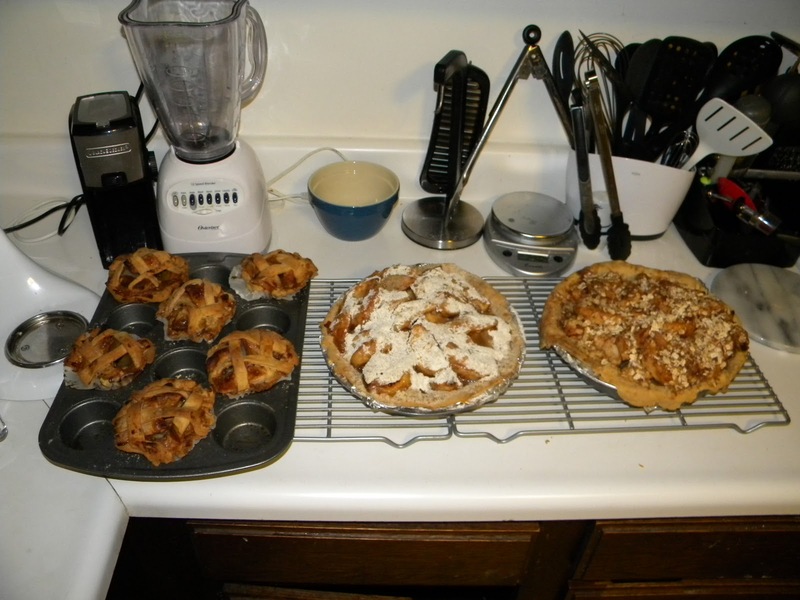 I also like to mix up streusel topping and crust topping, although this time I made regular pies with streusel topping and some extra "apple-pie cupcakes" with the additional crust. Even so, I made both an oatmeal and flour-based streusel-topped pie. A sturdy 12-slice apple cutter/corer is extremely useful for apple pie. I like the size of pieces of the 12-slice cutters over the 8-slice cutters. 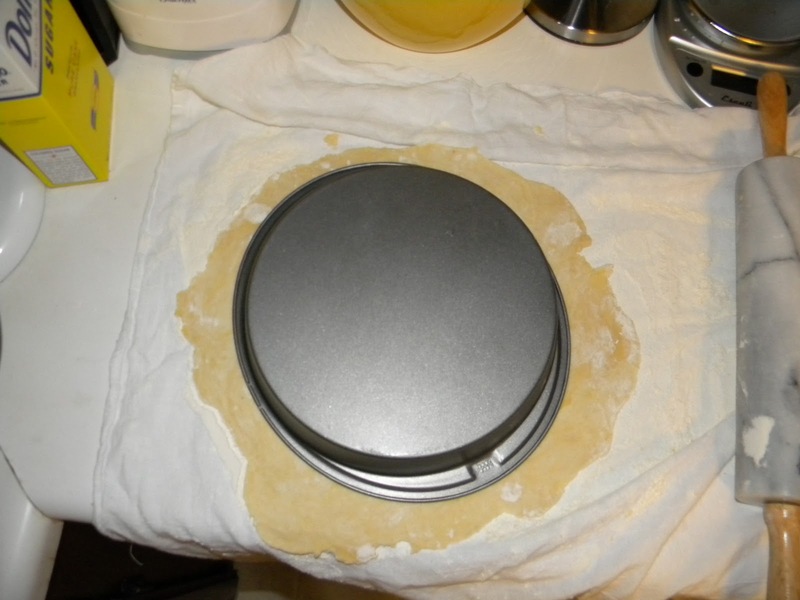 Although traditional 9-inch pie pans work fine, I saw a Good Eats episode about apple pie that recommends using a tart pan with a removable bottom. I plan to try that soon, and have ordered the following pan to use. There are also 9-inch tart pans, but the ones I found are a little pricey. A good stand mixer like the KitchenAid K45SS Classic 250-Watt 4-1/2-Quart Stand Mixer, White is also helpful but not necessary for pie-making. Although if you have one, by all means use it! 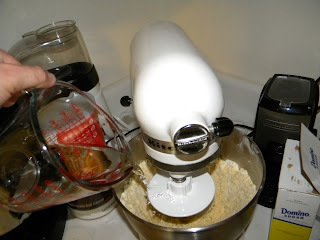 I also think a pastry cutter/blender is a necessity, unless you have a food processor. Other than that you will want a peeler, some spatulas, large mixing bowls, kitchen towels, a rolling pin, cooling racks, and basic measuring equipment. I do not recommend an apple peeler, they take up quite a bit of space and don't save that much effort. until butter is pea-sized or smaller. Add vinegar to water, pour over dry ingredients and mix quickly just until moistened. Too much mixing or playing makes the crust tough. 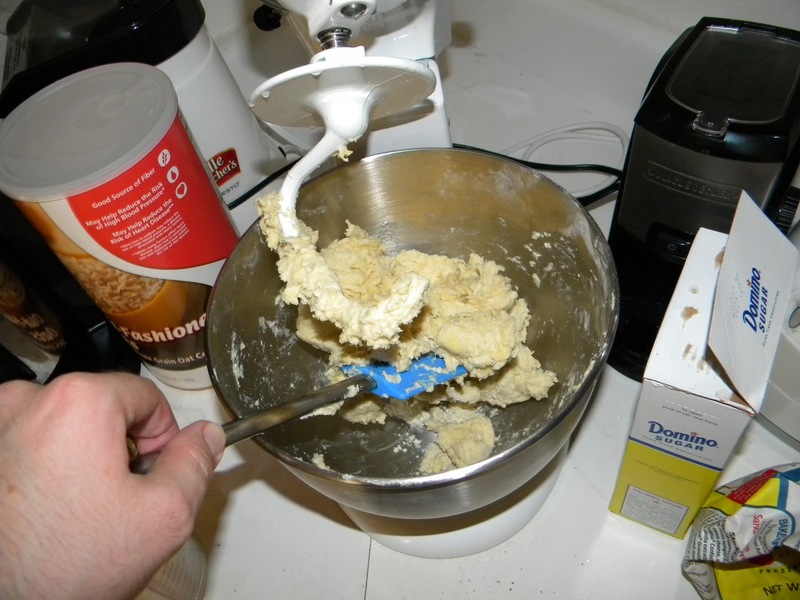 The dough should be slightly sticky and shy of firm. Separate into thirds and make soft balls of each dough portion. 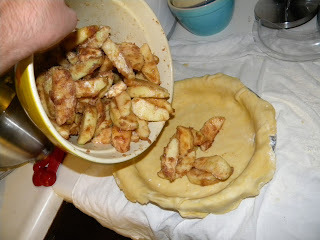 Each portion will make a bottom or top crust. 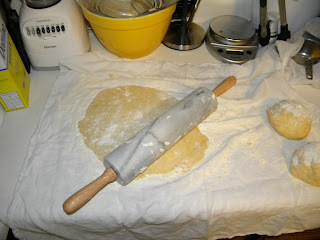 Spread flour liberally onto a linen dishtowel, pat flour on dough ball, then roll out with a rolling pin. Use plenty of extra flour. Roll out until the dough is slightly an inch or so beyond the size of the pie plate. 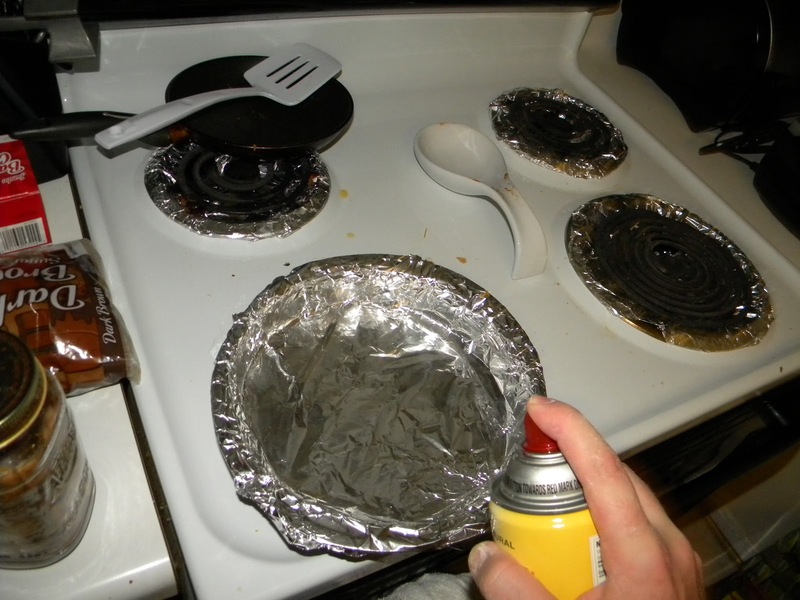 Prepare a pie pan. I have wrapped the pan in foil and sprayed it with cooking spray to facilitate removing the cooked pie for service. A tart pan with a removable bottom can save this step. Transfer the crust to the pie pan. This is easily done by gently folding the crust into fourths (use flour to prevent sticking) and then moving the folded crust to the pan and unfolding. 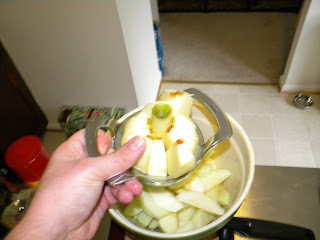 Peel (not shown) and cut apples to fill 2 quart bowl. 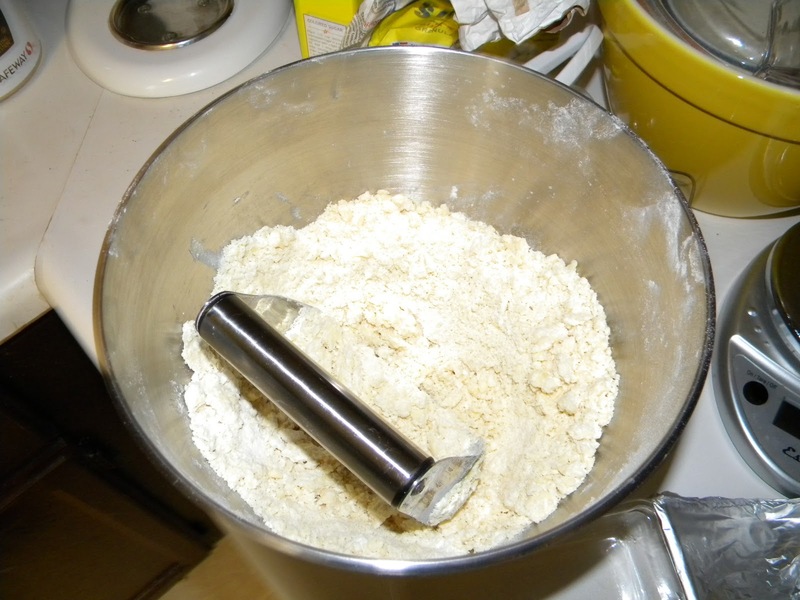 Measure dry ingredients for filling. Here I added an oatmeal-based streusel topping. 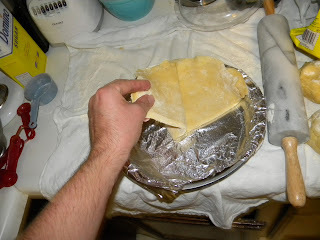 You could also make a top crust like the bottom crust, or make crust strips and criss-cross (like basket-weaving). 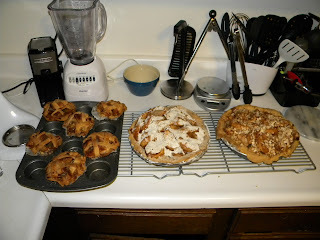 I also made a flour-based streusel topping, and apple pie cupcakes. Here are the baked products, resulting from 1 hour in the oven at 375 degrees Fahrenheit. That's it! Yummy, delicious apple pie.